My name is Ari Albinder, licensed Real Estate Broker/Owner of Mizner Grande Realty, the best Real Estate Company in Boca Raton, Florida. Mizner Grande Realty Celebrating $1.5 Billion Dollars in Sales! Prior to opening my own office, I was the recipient of the most prestigious "Pinnacle" award, based on my outstanding sales record. As a Top Producer, I have been awarded top sales recognition for 1993 through 2015. My areas of specialty include single-family homes and condominiums along the waterfront and ocean front, and within the gated country club communities of Boca Raton, Delray Beach and surrounding South Florida areas. Our Worldwide Marketing approach to 54 Countries Locally, Internationally and Globally has allowed Mizner Grande Realty to obtain Top Dollar for our sellers and create tremendous synergy in our Real Estate market. In April of 1998, the Florida Realtor business magazine named me one of the savviest real estate professionals in the next generation. In the July/August Issue of 1998, the Real Estate Executive Magazine of South Palm Beach named me one of the top, up-and-coming Realtors in South Florida. In addition, as a single-family waterfront homeowner, my first-hand knowledge of the Boca Raton and Delray Beach waterfront has given me experience in all the aspects of a real estate transaction. My commitment to excellence is nothing less than outstanding, and it gives me personal fulfillment and satisfaction in doing the right thing for my buyers and sellers. Please continue to browse through the valuable information I have provided and please use it to assist you in making one of the biggest decisions in your life. Please call me directly so we can discuss your real estate needs in 2015. I look forward to hearing from you. Ari Albinder personally handled the marketing and sale of our waterfront home. He drove the process until we found a buyer with whom we found common ground. We were pleased with the end result and would recommend Mizner Grand to any seller. A masterful negotiator with a true handle and understanding of current local market conditions, Ari works to get you the best possible deal. Ari is a friendly man with good personal skills. My husband and I worked with Ari Albinder on the sale of our home and we couldn't have been more pleased. We would definitely recommend him to anyone thinking of selling or buying a home. Ari is professional, honest and hardworking. He kept us informed during the entire sale and that made it a much easier and more enjoyable process! Gail and I want to thank you for your outstanding effort in selling our house at 760 Havana Dr, Boca Raton. The quantity and quality of the advertising was exceptional and you developed a strategy to accommodate our pricing and executed it well. In addition, you have handled our new purchase in Delray very efficiently. We are very pleased. When we first met you 8 years ago, you impressed us with your ability to listen, evaluate, advise and act. You have not changed one iota over all these years. We consider you to be a trusted advisor and friend and will not make a real estate decision without consulting you first. You operate with integrity and honesty which is very refreshing in today’s business environment. I would like to commend you and your team at Mizner Grande Realty, LLC on the fantastic service I have received over the last ten years which resulted in the sale of many of my Multi-Million Dollar Waterfront Estates. The marketing and service on my home was superior and your positive attitude and focus was extreme in a very difficult market. Your attention to detail and great knowledge during the sale process was what set you aside from competitors. Even after all the closings, you continue to extend yourself far beyond what other real estate brokers would do after a sale. I wanted to personally thank you and your team at Mizner Grande for all the help and support during the sale of our home. There were many obstacles and issues to overcome, but you were always there to listen, advise and help get the deal done! It’s never an easy decision in selecting a real estate agent, but we are certainly glad we picked you! I still remember how impressed I was that you remembered my wife and I, after showing us homes in the area over 4 years earlier! You even had my cell phone number handy to prove it. That showed us you truly stay connected and committed to your clients. The entire Mizner team were all very professional, enthusiastic, and a pleasure to work with. Just a short note to thank you and all the team at Mizner Grande Realty, as you know we were not committed sellers, however you persisted during difficult times, and when you found a buyer you laid out the facts and never pressured us to agree a transaction, you walked us through the process and at all times acted in our best interests. I just want to write you a quick Thank You for all of your hard work and especially advertising in selling my home. I have used realtors in South Florida before to buy and sell homes, but you went over and above what the other realtors didn't do for me. No matter what time of day or night you always made yourself available to me. I will definitely recommend you to all my friends up North and anyone I know down here looking to buy or sell their homes. During these uncertain times, the one certain fact is that there needs to be a change in a positive direction. The fall of our economy is exemplified by the lowest drop in home prices and home sales that our country has experienced in decades. Perhaps no other moment is more important than to choose a leader that is exceptional, proactive, experienced and gets the job done as promised in a professional and timely manner. I am fortunate to have found such a leader. As I entered the third season of my waterfront residence being listed in this soft market with no offers and having three previous realtors and being listed with two of the top real estate companies in the area for two years, I was compelled to find a different approach and real estate company to achieve a sale. I reflected on the impressive advertising and marketing of Ari Albinder, Broker and Owner of Mizner Grande Realty. After meeting with him I was convinced that if anyone could do the job it would be him. He delivered a contract within 12 days selling my multimillion dollar estate. Ari's negotiating skills were excellent and the executed a smooth closing less than four weeks later. The selling price was attained was higher than what I purchased the estate home for. Ari Albinder, through his company Mizner Grande Realty, orchestrated professionally a plan, and executed the sale with utmost professionalism and courtesy, resulting with all parties being more than content. From the marketing through the closing I trusted him with his expertise and guidance and his handpicked staff including the Real Estate Attorney, Title Company and Closing Agent. I was also fortunate to have been able to find a new home without delay through the assistance of his associate Paul Strom of Mizner Grand Realty. I encourage you to take a hard look at your real estate needs and consider Ari Abinder of Mizner Grande Realty to represent you. I recommend Mizner Grande Realty to everyone! - With appreciation, Bradley S. Douglas M.D. 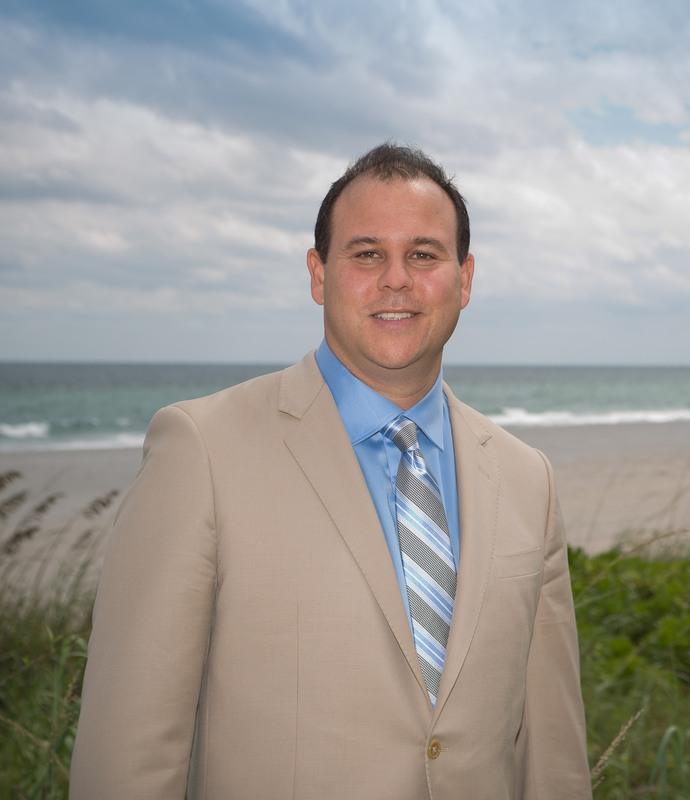 We met Ari Albinder of Mizner Grande Realty back in 2006 because we viewed one of his listings. We were not working with an agent. He showed concerned and wanted to help us. Ari asked us multiple questions to understand what our interests were, our style, and our financial situation in order to match us with the house that best suited us. Ari brought us to the house we just recently sold and we loved it. It was listed with another company for over two years. It was absolutely the most beautiful home around in that price range. He handled the purchase with professionalism taking care of our needs and addressing any concerns concerning the house. Seven years later David and I were living in this 10,000 square-foot house and had just sent two of our three kids off to college. The house suddenly became too big and empty. It was time to downsize. We both agreed Ari would list it. We remembered and admired his hard work and enthusiasm with his business. Through the years we would see Ari around town and he would go out of his way to say hello. We learned that Ari is well known in the community. He has great and lasting relationships with other real estate companies, brokers, builders, mortgage brokers, title companies and banks. Because of this he is knowledgeable in all areas of real estate and is able to instruct on all decisions. We were confident and correct with our decision to list with him. Ari immediately did advertising saturating the market with ads displaying our house in approximately 10 different magazines. I would see our ads everywhere I went - the grocery store, car dealerships, resorts, on TV screens, in movie theaters and breakfast places. What impressed us the most with Ari is the way he handled an offer we received. We had a substantial offer on our house. While we were making a decision we asked Ari his opinion and he told us not to get emotional and suggested we not take the offer because he felt our house is worth more. This shows he has patience and willingness to instruct us in the right way rather than just making a commission and saying he "sold our house". We trusted his judgment and sold the house for much more. When looking for a new home, Ari knew exactly what we wanted because he knew us. He found many houses suited for our lifestyle and our financial needs. He was there for us every time we wanted to see a home especially on Saturdays and Sundays and on short notice. He always took our calls and if he couldn't he communicated by texting. He showed us other company's listings as well as his own, which shows selflessness and a competitive business. We consider Ari to be a devoted and honest agent who works very hard for his clients and we consider him a friend. - David and Michelle Harrold.